Russian President Vladimir Putin said that Russia and South Africa should do much to ensure BRICS will acquire efficient nature, become an operative and effective tool for economies' development. MOSCOW (Sputnik) — BRICS potential should be used to develop Russian and South African economies, Russian President Vladimir Putin said on Saturday. "We [Russia and South Africa] develop our relations within international organizations, including BRICS. We should do much to ensure this organization will acquire efficient nature, become an operative and effective tool for our economies' development," Putin said at a meeting with his South African counterpart Jacob Zuma. 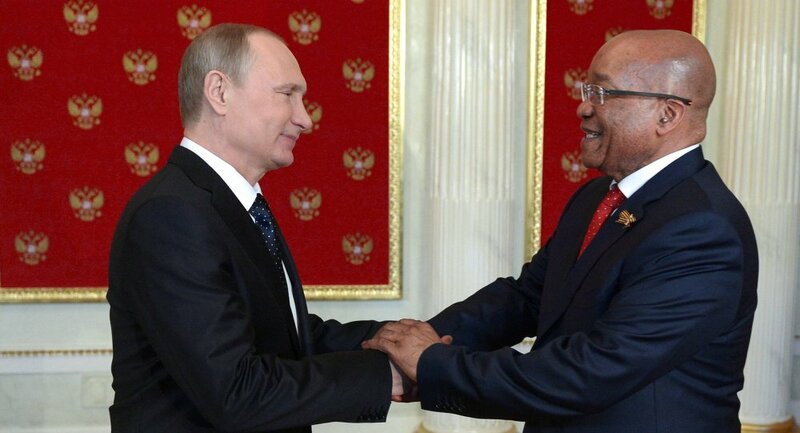 South Africa is Russia's leading partner on the African continent, Putin added. Zuma thanked the Russian president for the invitation to attend the May 9 Victory Day celebrations in Moscow, and for his hospitality. "It was a very beautiful day. Not only for South Africa but for the entire world," the South African leader said. 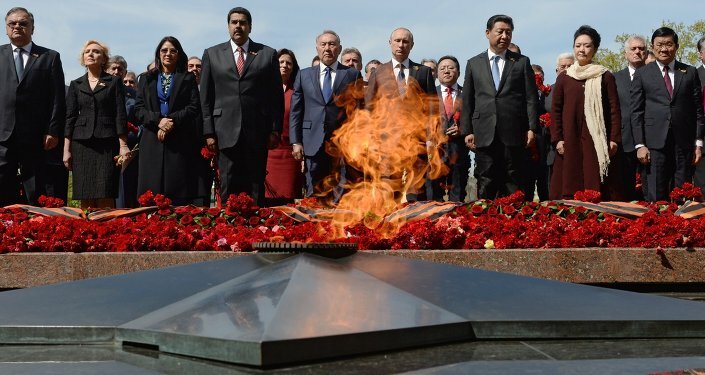 Earlier on Saturday, Zuma attended the Victory Day Parade in the Russian capital, marking the 70th anniversary of victory over Nazi Germany in World War II.